To help fund a life-saving vaccine or send aid in a natural disaster, all you have to do is buy wine. That’s the idea behind ONEHOPE, the California-based wine brand providing people the opportunity to do more good through everyday actions. Their wine, gourmet coffee, and gift sets each support a charitable cause. Founded in 2007 by a group of friends, ONEHOPE incorporates social impact into every varietal of wine and every product they produce: every case of pinot funds a pet adoption, while every bottle of sparkling helps fund two meals to help end childhood hunger. No one needed another excuse to pour themselves a glass of Merlot, but ONEHOPE makes it all the more appealing. 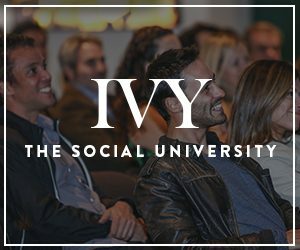 Brandon Hall, the Co-Founder and Chief Brand Officer of ONEHOPE, joins The IVY Podcast to talk about how he and his friends built the socially-conscious brand from the ground up, and their mission of bringing people together to celebrate and serve the world. Please enjoy our conversation with Brandon Hall.